Let’s discuss something called the butterfly effect for a moment. Aside from being a decently entertaining Ashton Kutcher-led mid-2000s film, it is an actual offshoot of chaos theory that theorizes that, in short, even the smallest action can have exponentially large effects. For example: the flapping of a butterfly’s wings in the rainforest could cause minor changes in wind pattern that could theoretically affect the course of a hurricane some time later, halfway around the world. It sounds wild, but consider something a little closer to home for most people in charge of joint use: a seemingly measly neglected request to attach or detach. 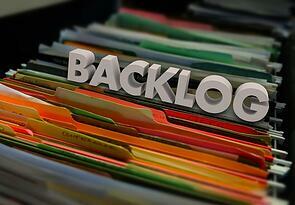 Think of backlogged information as a side effect of backlogged requests. Not only does work build up, but often owing to a lack of time and organization, so does unused and un-updated information about assets in the field. Attachments end up being hung anyway, without consent, as attachers tire of waiting. Transfers may happen, but the home office may not record them, leading to discrepancies between records and reality in the field. A general lack of accurate data begins to pervade—something only good field asset management processes can solve. …which can lead to duplication of engineering efforts…. We have found that redundancy is often common in the field—cable being laid multiple times in the same spot because no one has a record of what has already been done. In one particularly memorable example, one company sent technicians into the field to place fiber, and a crewmember happened to remember having gone to that very spot to do the same work in the past. He reported the redundancy, saving the installing company tens of thousands of dollars and prompting an investigation. Upon further digging (likely literally and figuratively), the company found that the same job had somehow, incredibly, been done twelve times previously. A lack of records and adequate follow-through in field asset management procedures drove the insanity. The bottom line: engineers that are busy re-re-re-installing equipment are not engineers that can be doing something more constructive. …which can result in stalled growth. If an organization’s staff is in the field repeating jobs time and again, the company will likely be slow to realize new opportunities, and new installations will be slow to evolve. In this way, general lack of organization and adequate field asset management can stall a company’s ability to grow and expand—at least as quickly or efficiently as it might like. And that is how a few missed communications can turn into a landslide of backlogs and, eventually, into lost opportunity for growth. One joint use domino colliding with the next to create a joint use "butterfly effect" that can have major business impact.